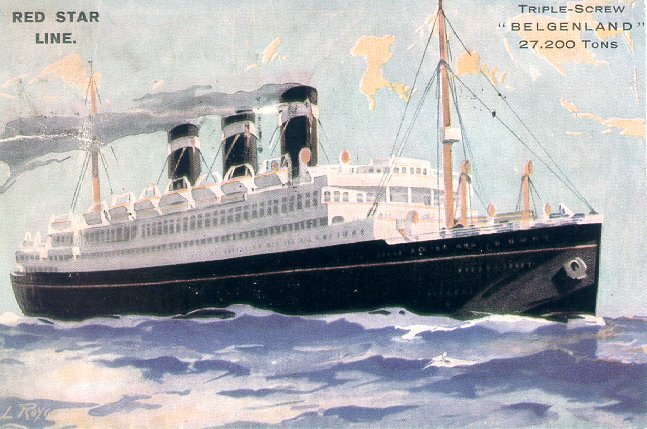 Belgenland (a/k/a White Star's Belgic IV) was built by Harland & Wolff, Belfast. 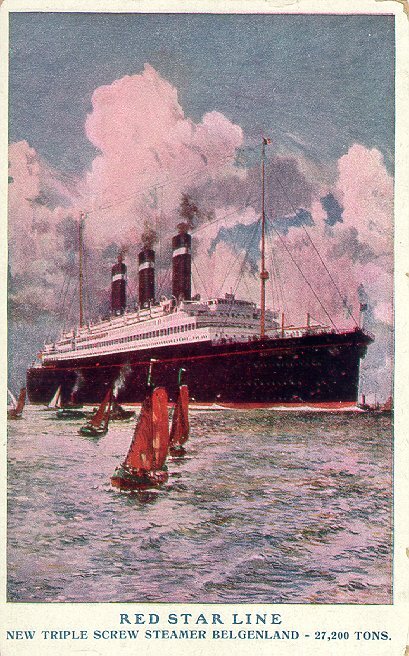 Although she was launched in January 1914, she was not completed when World War I began later that year and work was halted. 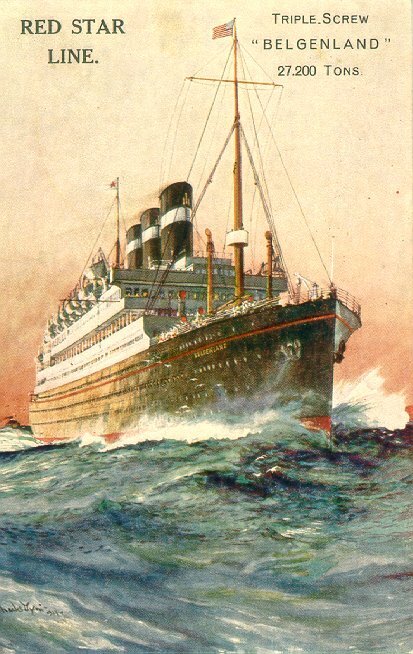 She was eventually completed in 1917, but as a troop transport and freighter rather than the passenger liner she was designed to be. 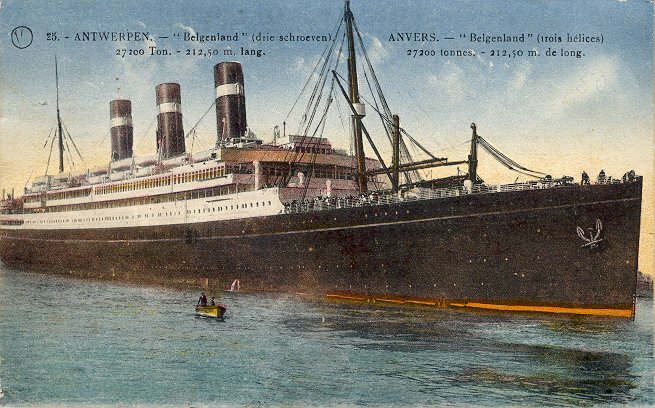 Moreover, she entered service as Belgic since Red Star had suspended operations when its European base, Antwerp, was overrun in 1915. As Belgic, she was a 24,547 ton ship with two funnels, three masts and no superstructure. 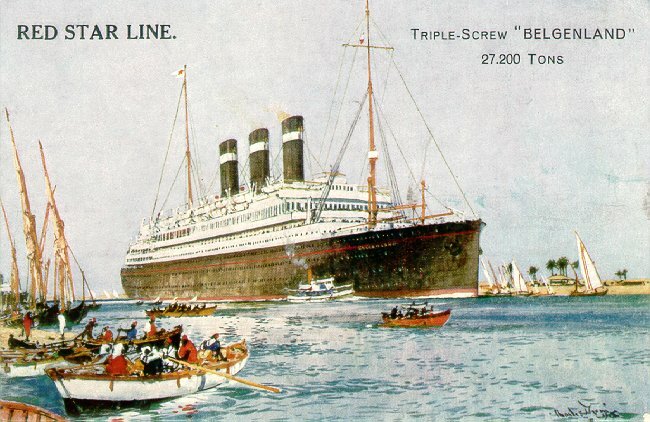 After the war she was extensively rebuilt, and emerged in 1923 as Red Star's Belgenland, 27,132 tons with three funnels, two masts and a four deck superstructure and accommodations for 2,500. 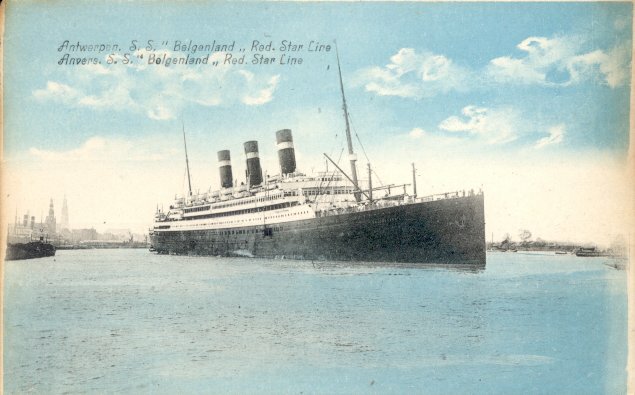 Belgenland was by far the largest ship ever owned by Red Star, nearly 50% larger than the 18,694 ton Lapland. 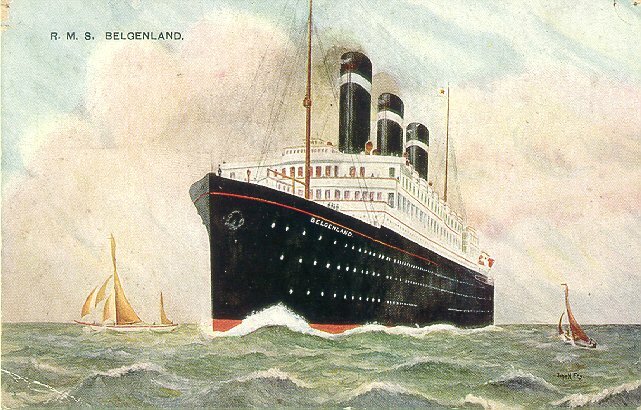 Belgenland made her first passenger-carrying voyage on 4 April 1923, from Antwerp to New York, with a call at Southampton. Often used for cruising, she made her last commercial Atlantic crossing in March 1933 and was laid up for most of the next two years. 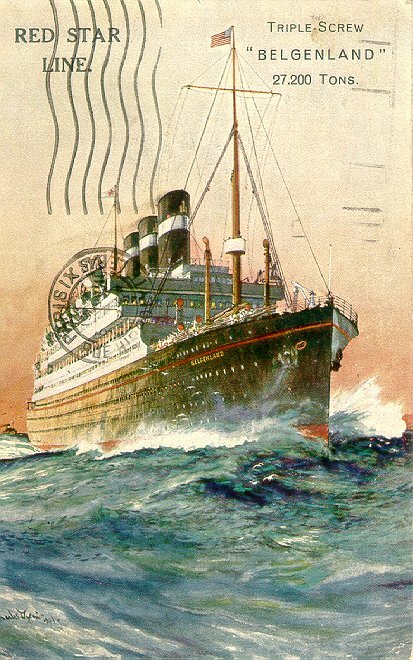 In January 1935 she was sold to Atlantic Transport, renamed Columbia and placed on Panama Pacific's New York-California service. This service proved unprofitable, so in April 1936 she crossed the Atlantic for the last time, to be scrapped at Bo'ness. Sources: Bonsor's North Atlantic Seaway; Haws' Merchant Fleets; Kludas' Great Passenger Ships of the World.